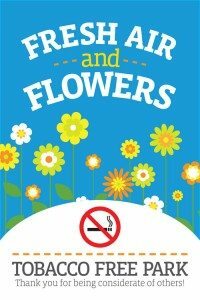 Make the most of healthy family activities in Kearney Parks this summer by helping keep the parks tobacco-free. 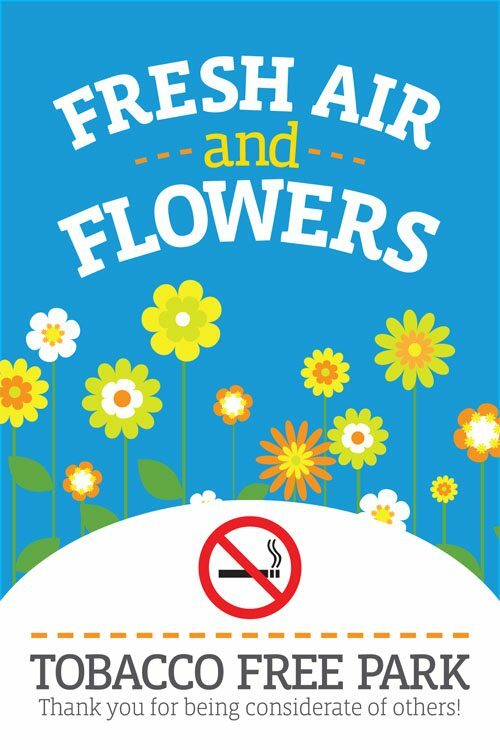 With the beginning of spring park activities, the Kearney Park & Recreation Department is reminding park visitors of a new courtesy rule that discourages tobacco use in Kearney’s parks. Signs will be posted in areas where people congregate—such as ball fields, playgrounds, and shelters—to remind visitors that tobacco use is discouraged as a courtesy to other park users. Tobacco-free parks are becoming the norm throughout the country. Nebraska cities like Lincoln, Hastings, Central City, and LaVista that have already implemented similar policies report strong support from park visitors for their efforts. The Kearney rule is based on a proposal made to the Kearney Park and Recreation Advisory Board by members of the Buffalo County Youth Advisory Board (YAB) as part of its effort to promote good health in Buffalo County. The youth feel the policy will remind adults to set a healthy example for young people, keep the parks cleaner, and encourage healthy activities.